Just over a week ago we did what we do very well, we went out of the League Cup to a team from a lower division, this time at Burton Albion. It was another disappointing cup performance with the one highlight coming with the return to first team action of Steven Defour. He looked, to some extent, as if he’s never been away. He settled well into the game and played all but the last few minutes. His performance, probably his just being there, won him both the man of the match vote and the player ratings although it has to be said there was little competition on the night. He polled 39% of the man of the match vote with central defender Kevin Long, who gave us the lead with his headed goal, taking second place with a 16% share. Just behind Long was Ashley Westwood in third place with 15% while goalkeeper and captain Tom Heaton came fourth with 13% of the vote. The player ratings weren’t high with only two players, the two central midfielders, scoring higher than the average six out of ten. Defour was again the winner with a rating of 6.53, followed by Westwood who scored 6.06. Third place went to Jόhann Berg Guðmundsson with a rating of 5.82 and Kevin Long finished fourth; his rating was 5.76 out of 10. 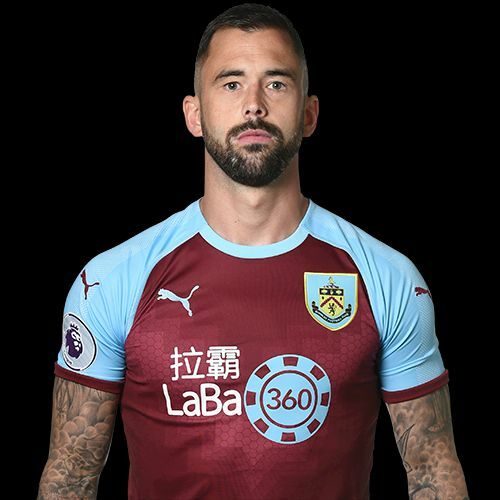 That result means ten points for Defour towards the Up the Clarets Player of the Year with five points for Westwood, four for Long, two for Guðmundsson and one for Heaton. With none of the top four in the table featuring in this game, there has been little change in the table although Westwood has now climbed ahead of Aaron Lennon into fifth place. The result for the Burton game is below, followed by the current player of the year table.